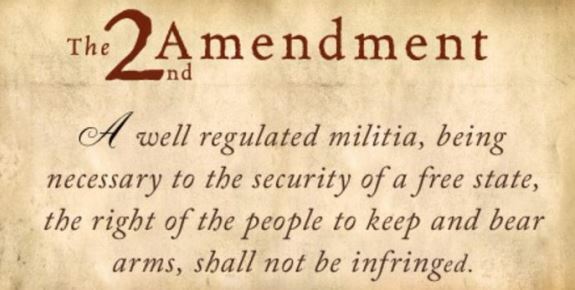 The Heller decision, confirming that the Second Amendment acknowledges an individual right to keep and bear arms, written by the late Supreme Court justice Antonin Scalia was in many respects the Roberts court’s finest hour. In its acknowledgment that rights are inherent, not granted by government Heller is constitutional originalism at its finest and Scalia at his incisive and eloquent best. But someone on his staff apparently forgot to tell Ohio Governor John Kasich about just how important Heller is to limited government constitutional conservatives because over the weekend he told CBS News that if he were elected President he would consider appointing to the Supreme Court the judge whose decision Heller overturned. Here’s the quote just to give you a clear idea of how out-of-touch Kasich is with Second Amendment issues and limited government constitutional conservative principles. "My feeling is, at the end of the day, whoever gets elected president should be in a position to be able to pick you know who they want and the American people will either decide by voting for a Republican or Democrat what the makeup of the court is," Kasich said in the interview, which was taped Saturday. The Ohio governor even suggested he'd consider naming Garland himself if he wins the presidency, noting the praise the nominee has received from conservatives in the past. "As someone who's talked about unity, would you take a look at Mr. Garland...if you were elected president?" host John Dickerson asked Kasich. "Well, you know, he received you know overwhelming support, I think even from Senator Hatch, so of course we'd think about it," Kasich replied. "The way we do it, John, is we look at a person's record. I want a conservative who's not going to make the law but who will interpret the law and somebody of high standing. I don't care about their peccadilloes you know 30 years ago. But we have a process. I've appointed over 100 judges in Ohio, including a woman that, fortunately, I was able to appoint to the Ohio Supreme Court. And we've had good success with our selections." Chris Cox of the NRA-ILA had the complete case against Garland in The Washington Post last week, but Governor Kasich and his staff are apparently so disconnected from the day-to-day happenings in the Capital of the country he’d like to lead that they missed the free briefing on an issue that cuts right to the core of what’s at stake in this election – our individual liberty. From upholding a federal registry of law-abiding gun owners derived from the instant-background-check system created by the Brady Bill to siding with the District government by voting for a do-over in a Second Amendment decision that invalidated the D.C. handgun ban — exactly what the Supreme Court rightfully struck down in Heller — Garland has proved, the NRA believes, he does not support the Second Amendment. If Garland joins Ginsburg, Stephen G. Breyer, Sonia Sotomayor and Elena Kagan on the court, we believe they will overturn Heller and McDonald at the first opportunity. While claiming to support Heller during her Senate confirmation hearings, Sotomayor wasted no time in trying to overturn that historic decision. Kagan spent her time in the Clinton White House pushing for gun control. Breyer has made his opposition to Heller and McDonald abundantly clear through his dissents in those cases. And as mentioned previously, Ginsburg publicly spoke about her desire for a future court to overturn Heller. Kasich later tried to worm out of the comments that revealed just how out-of-touch on matters of constitutional liberty that he truly is by saying he was only trying to be polite. Here at CHQ we’ve had enough of elite insiders being “polite” to each other as they steal our liberties. The Heller and McDonald cases which finally codified the Second Amendment as an individual right were, as our friend Jazz Shaw at Hot Air put it, “passed on a knife edge,” and that knife is about to turn around and slash in the other direction if either Barack Obama or Hillary Clinton – or John Kasich – are allowed to fill not only this seat on the court but the likely three or four to follow. Submitted by xsnake on Tue, 03/22/2016 - 16:40. As I recall.....some years ago Kasich was for "gun control."